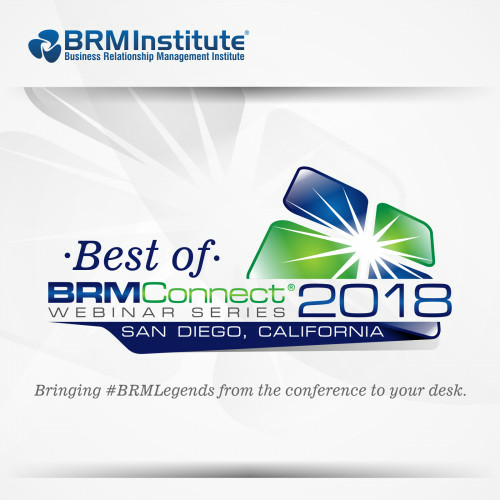 The 2018 World BRMConnect® Conference was filled with insightful sessions delivered by passionate BRM practitioners and C-Level Executives storytellers. If you didn't attend the 2018 World BRMConnect® Conference, you missed the opportunity to see Arnie Wetherill, BRM, Group Manager of Progressive Insurance, give one of the most relevant presentations of the entire conference. We are fortunate to have Arnie reprise his presentation in a special webinar format for the BRM global community to hear how leadership changes can affect the BRM role and team. At some time or other, all BRM Organizations undergo a leadership change, whether CEO, CIO, Business Partner Leadership or some combination of all three. Such changes are always a challenge, as new leadership performs discovery and due diligence of their new organization. During the initial stages, information flow and access to new leadership may be scarce, leaving BRMs uncertain of their future. During this critical time, the BRM Team has a window of opportunity to help shape the perceptions of new leaders and even use this opportunity to springboard their capabilities to the next level. In this session, you'll learn how to leverage your BRM influencing skills to set perceptions and be a driver of positive outcomes.